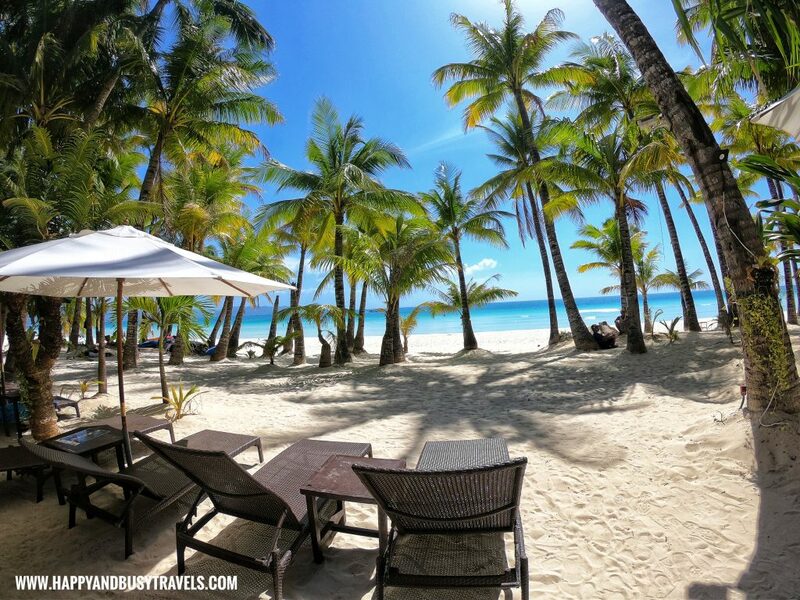 Staying in a beach-front resort in Boracay is the best way to enjoy your stay in Boracay. 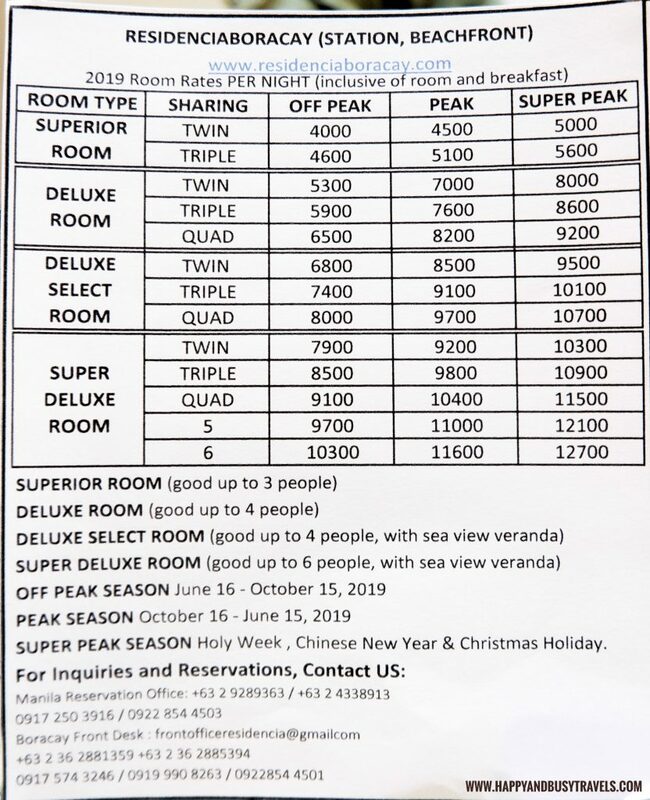 So we have decided to book a room in Residencia Boracay for the second half of our stay in Boracay and for the summer outing of my officemates. 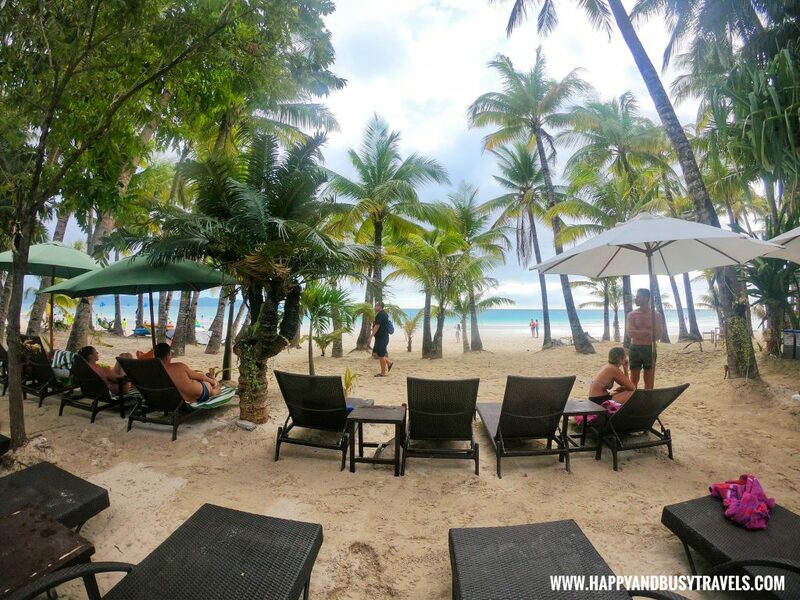 Residencia Boracay is a beach-front hotel in station 1 with affordable prices but it comes with a great staying experience. 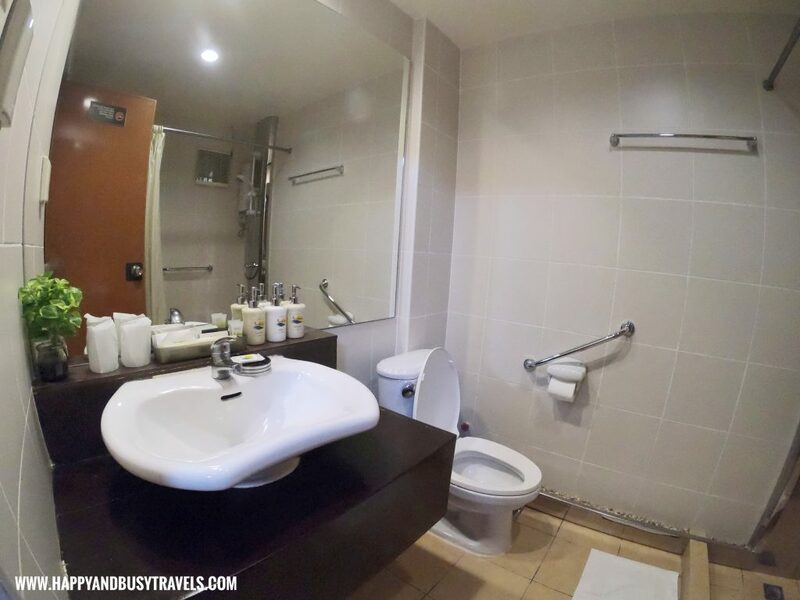 Everybody in Boracay Island knows the resort so Residencia Boracay was very easy to find. Beach Front Side of the resort. The restaurant is also located here. The resort was also easy to access to because it has an entrance just in-front of the road. After Busy and I went down the tricycle, the guard of the resort assisted us and brought us to the reception area. Jen and Juvy, the lovely receptionists assisted us and checked us in immediately. 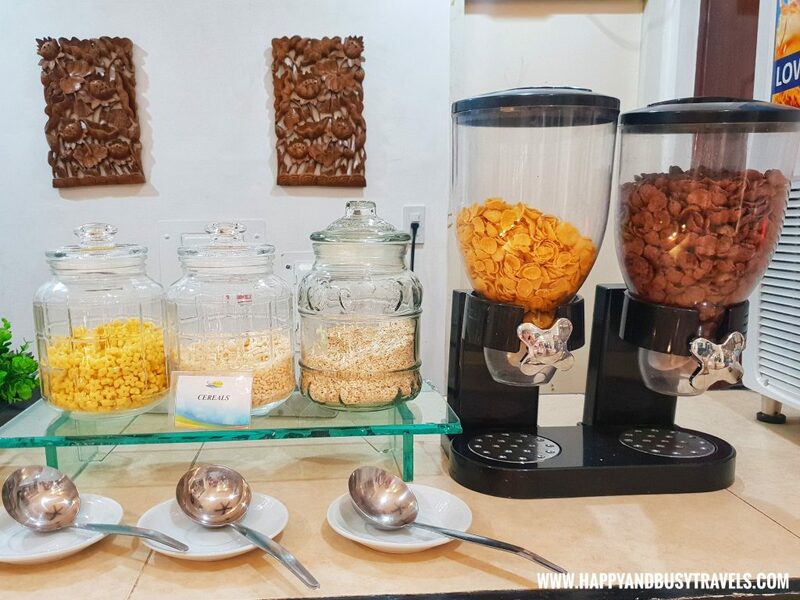 We were given an introduction of the resort, the new rules and regulations of Boracay, and we were given our keys and breakfast stubs, then, we were assisted to our room. The deluxe room near the reception area was assigned to us. There were 2 queen size beds with clean sheets, and comfy mattress. 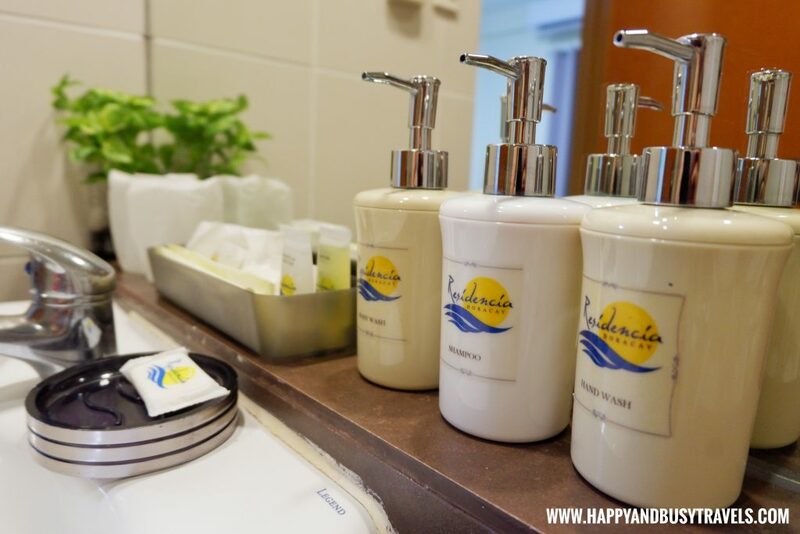 One of the factors why we love the comfort room of Residencia Boracay is because they provide A LOT of toiletries! 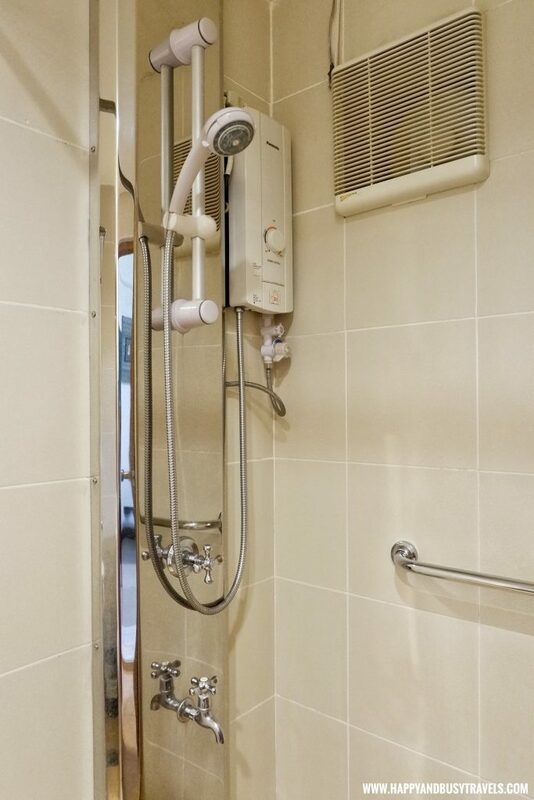 Hot and Cold Shower is also available. 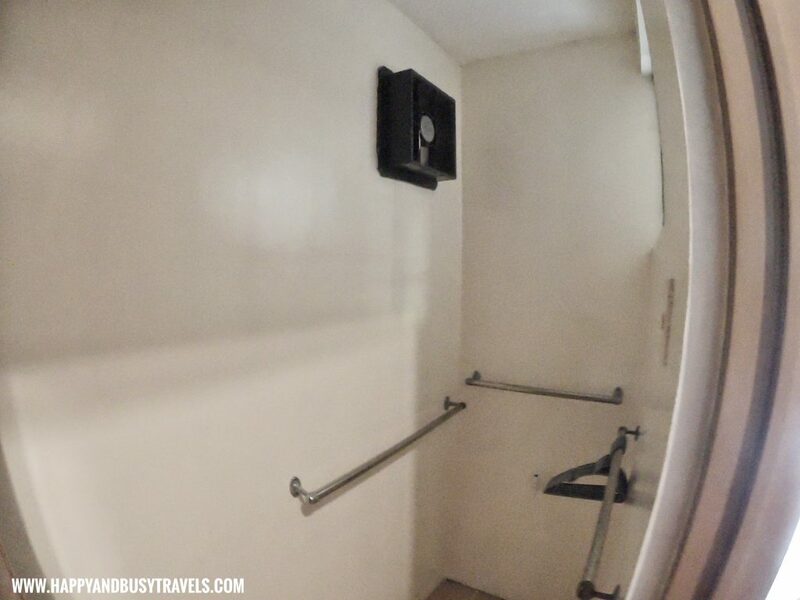 We actually do not know what is the name of this mini room, but we’ll call it the Prep Room. By the way, this was Busy’s favorite feature of the room! He really does not want sand inside the room hahaha. 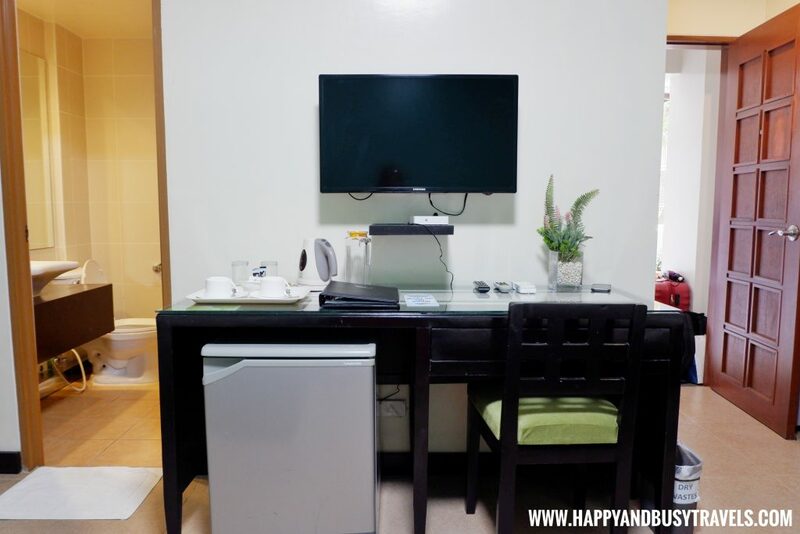 The room has a refrigerator, flat screen television with cable channels, electric kettle, complimentary coffee, desk and a chair, and a pitcher for water. The resort supports keeping the waste to a minimum so we have to use the pitcher as the water source. Do not worry if it runs out of water, the resort has a lot of water dispenser all around. 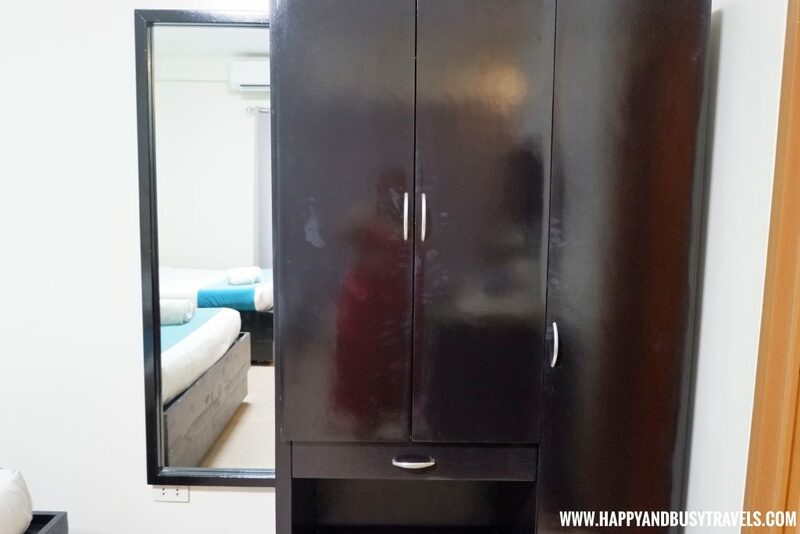 A large cabinet and a full size mirror are also available. Inside the cabinet, there are hangers, a safe, and the hair dryer. Every morning, Busy and I take the time to relax at the beach just in front of the resort. Staying here for hours, made us relax and feel the summer vibe. My swimsuit from Monadikó completed my outfit for the day while chilling at the beach. 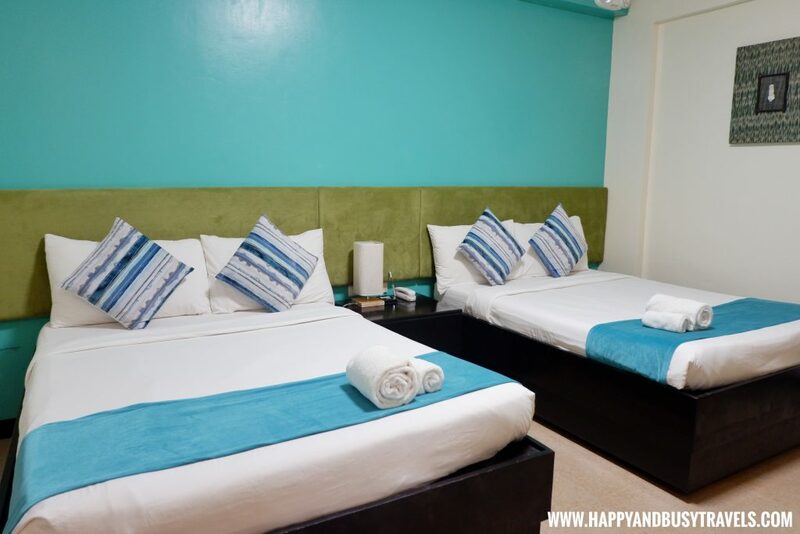 Residencia Boracay also has a great location in Station 1. The resort is after a few meters away from the Mama Mary Grotto, so there are lesser people around the beach area. The great location was an advantage for us to take great sunset photos. 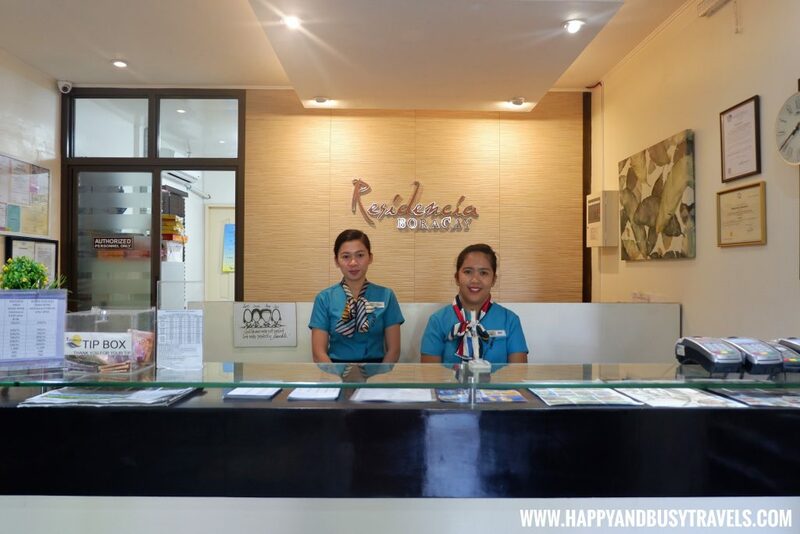 If you are also yearning for a massage, do not worry because Residencia Boracay offers massage services. 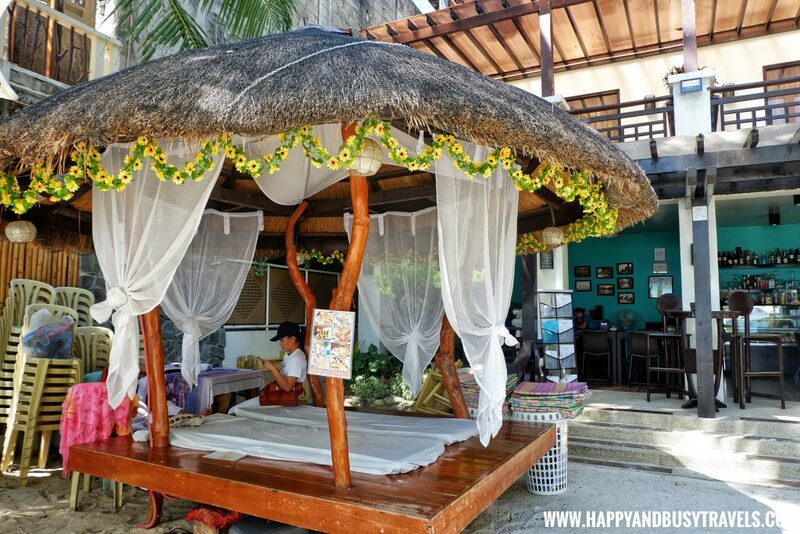 You can have your massage either in your room, or here in this lovely hut on the beach. Our favorite part of each morning is having our breakfast! 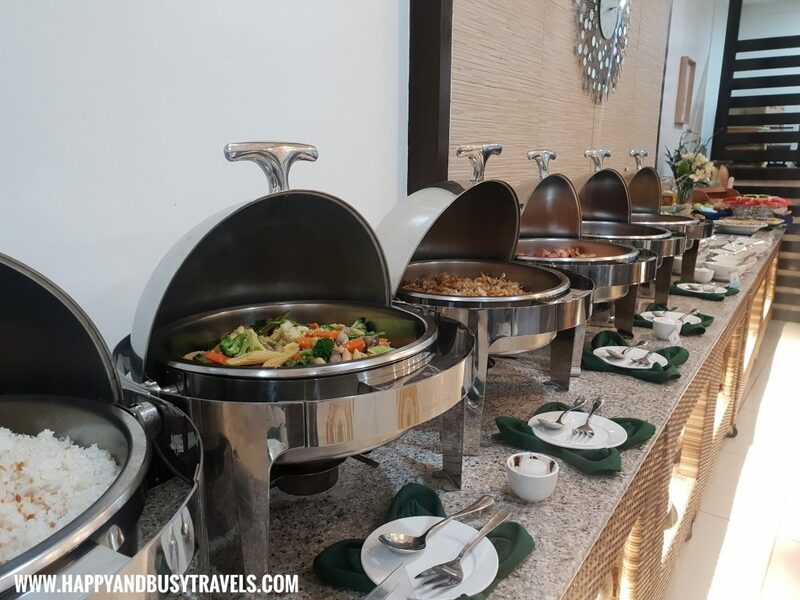 During our stay, there were just 5 occupied rooms, but there is always a lot of food served in the buffet table. 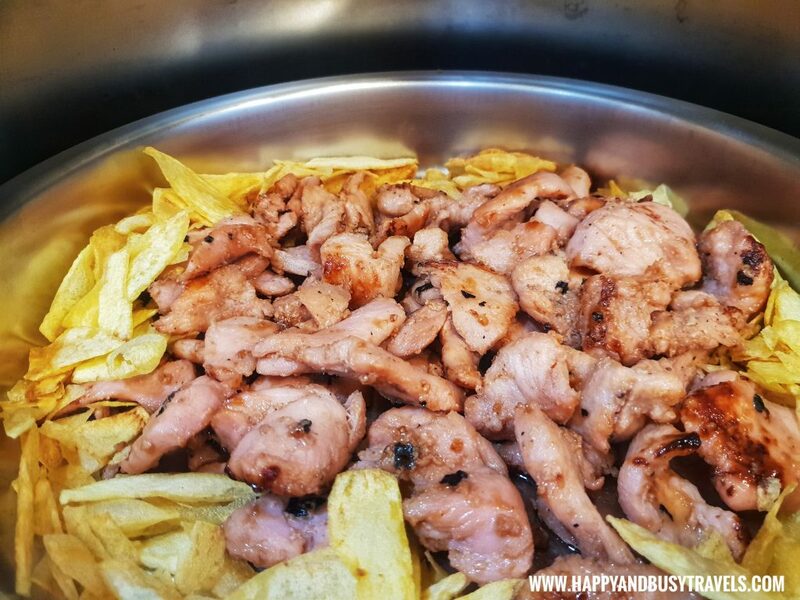 Aside from the viand inside the chafing dishes, there are also other choices. 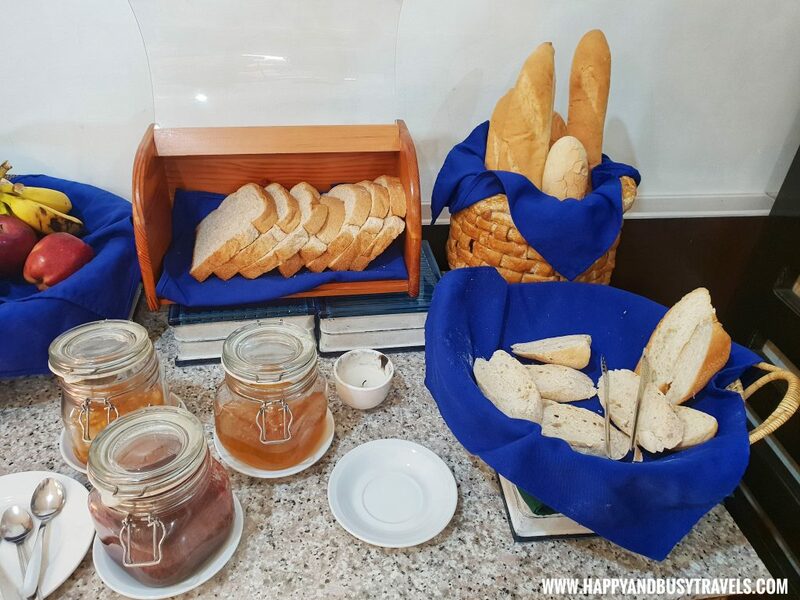 Eggs, french toast, and hotcakes were also cooked on the spot in the dining area. Drinks like Coffee, Tea, various juices, and several condiments were also available. 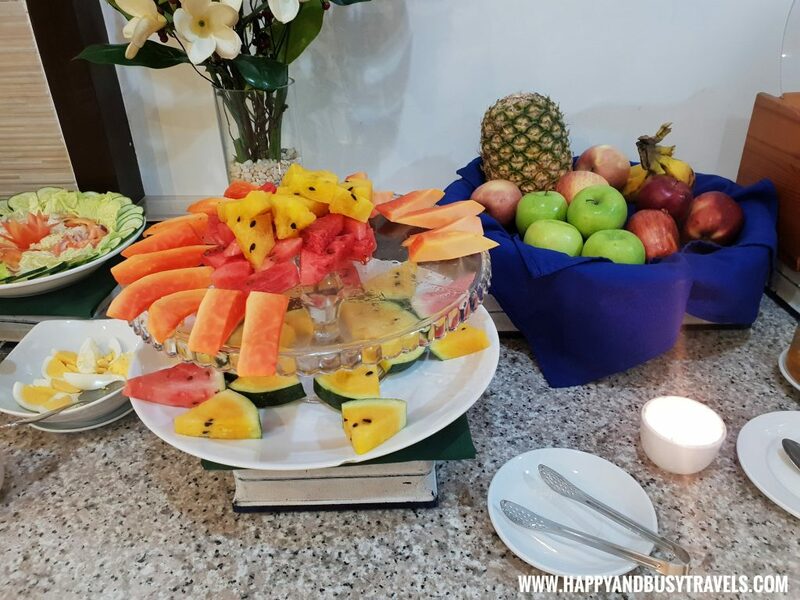 Here is a quick recap of our stay in Residencia. The surroundings of the resort were always kept clean. The staff always sweeps the sand, the sun bathing beds were always kept clean. 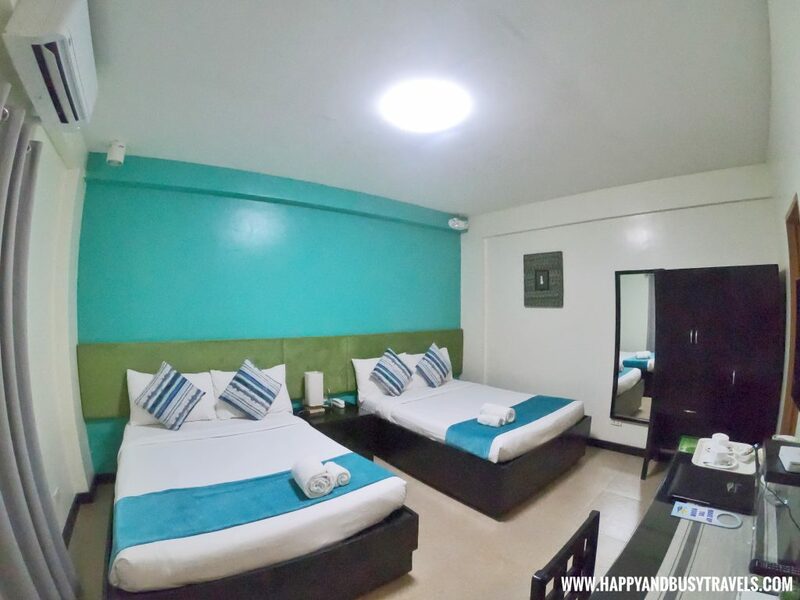 Our room was also clean when we checked in, we did not request for a room make up, but the staff informed us that we can always request for it. Everything that we need were in the resort. I felt like we were like in a luxury hotel because their services were great! Even though it we stayed late at night to very early in the morning (3am) there were staff who are in the beach area, reception, and the gate beside the road. They were there 24/7 to assist their guests. 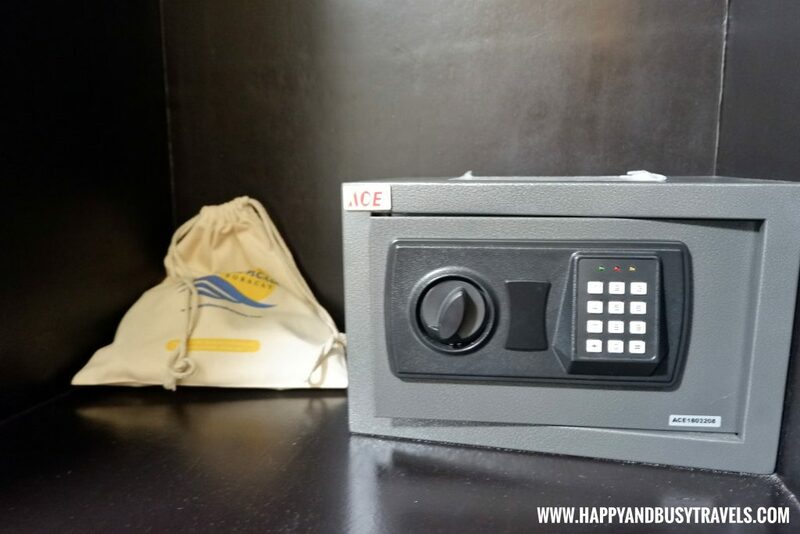 Staying in the resort is not that pricey but they have everything that a guest will need. We think this is the best resort in Station 1 in terms of value for money. Perfect! It is a beach-front resort with access on the road. Plus it is located in Station 1, after a few meters away from the Mama Mary Grotto, so there is lesser people in the beach. As I mentioned earlier, we can chill in front of the resort for hours. This is because of the great ambiance of the resort. Breakfast was delicious, plus they serve different viands everyday. 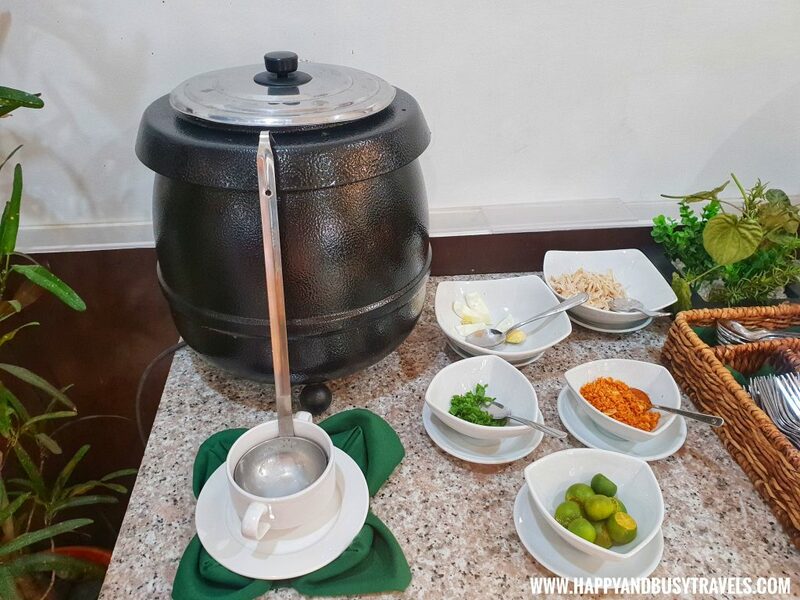 We also had a chance to eat in their restaurant, the food was also delicious, has a nice serving, and has an affordable price. 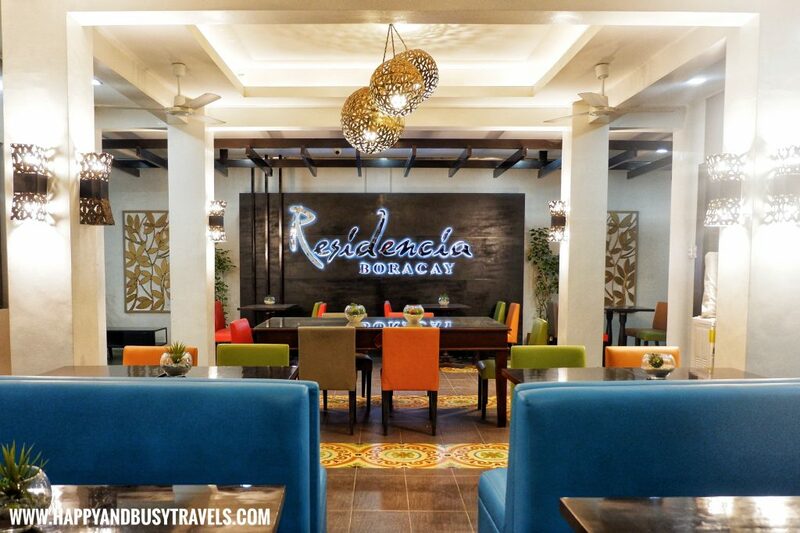 Happy and Busy Travels would like to thank Residencia Boracay for making our Boracay experience awesome. Whooah! That’s all! 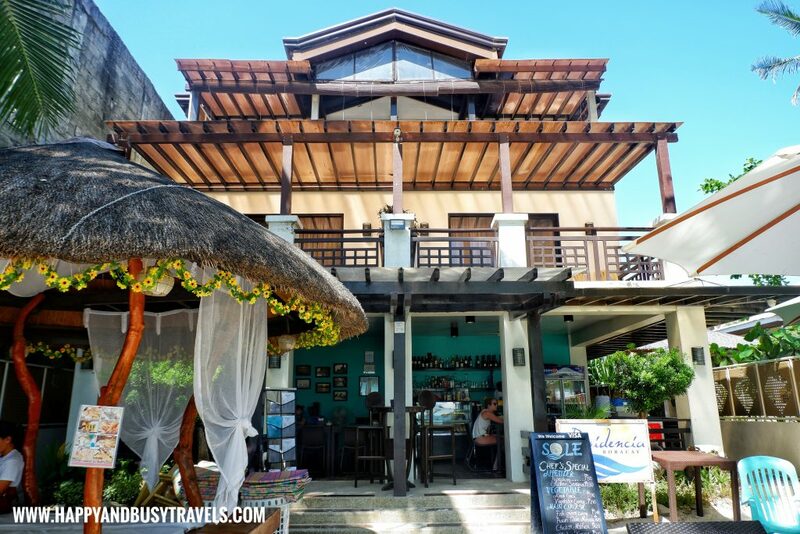 Our stay in Residencia Boracay was quick, but we had a great time. We hope we can be back SOON! Love your yellow top:-)... Boracay looks clean and refreshing. I was there January 2018 before they closed the island. 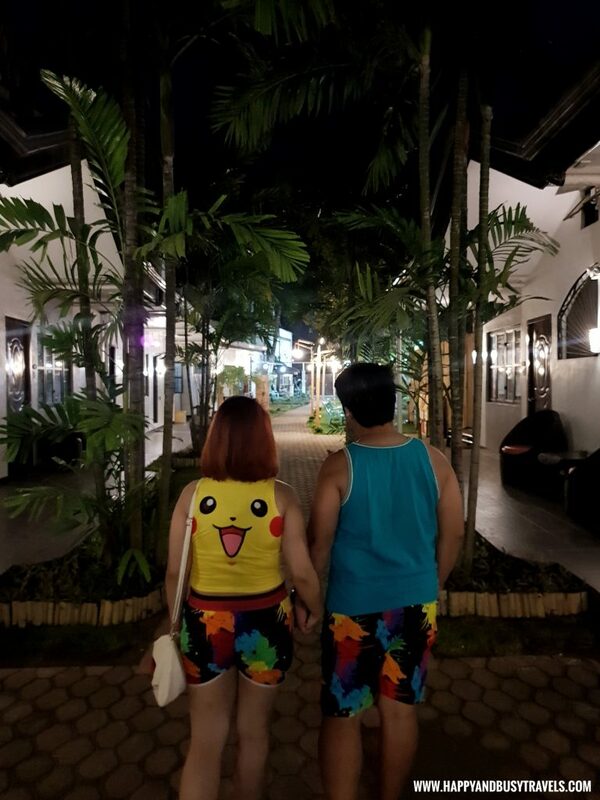 From the photos taken in Boracay, it really seemed to have changed a lot. 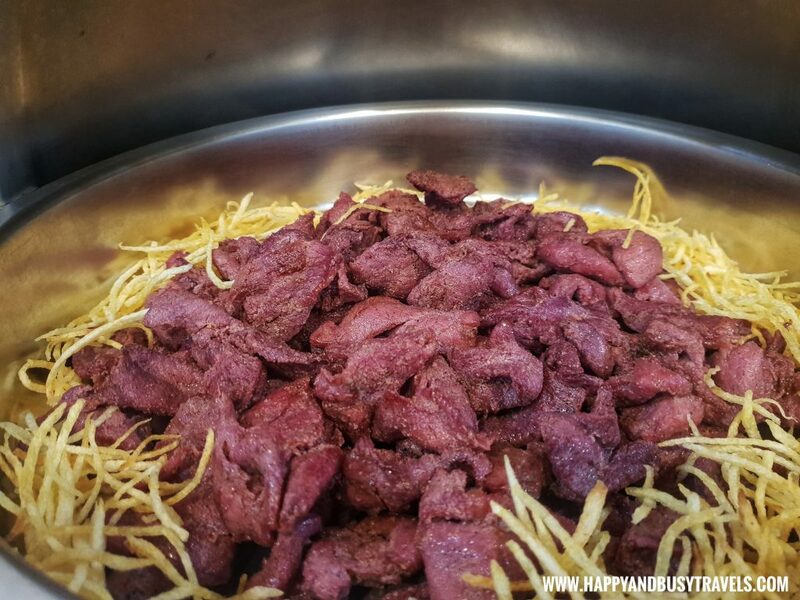 Food looks appetizing. And the sunset photos are mesmerizing! I think Boracay had so much improvement. 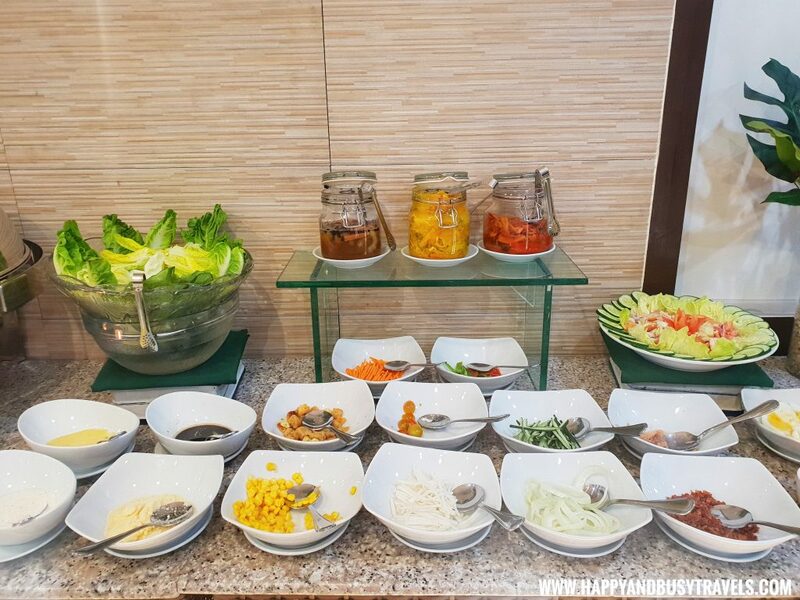 Natakam ako sa breakfast options nila. Huhu I want to go back to Boracay. When we visited, 1 day lang kami as in hahahahahahaha. 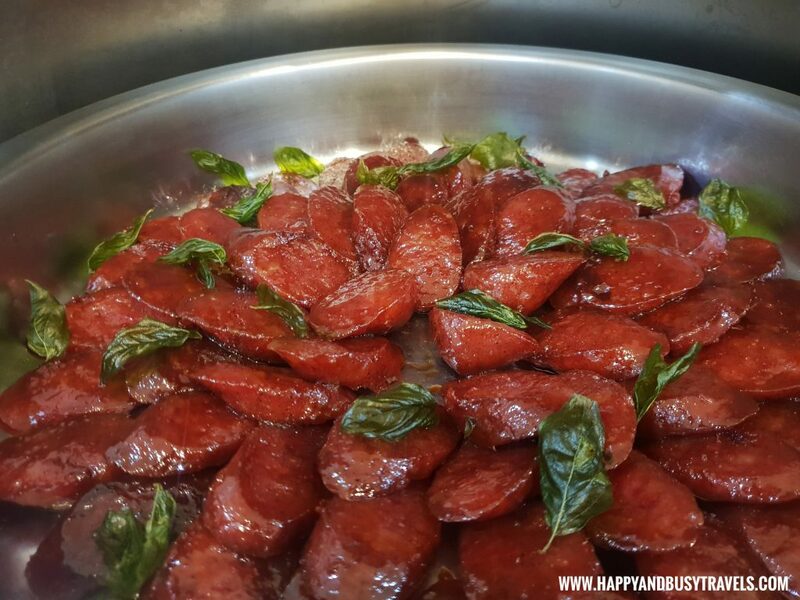 Kulang na kulang. Will consider this hotel pagbalik namin. Thanks for the detailed review! 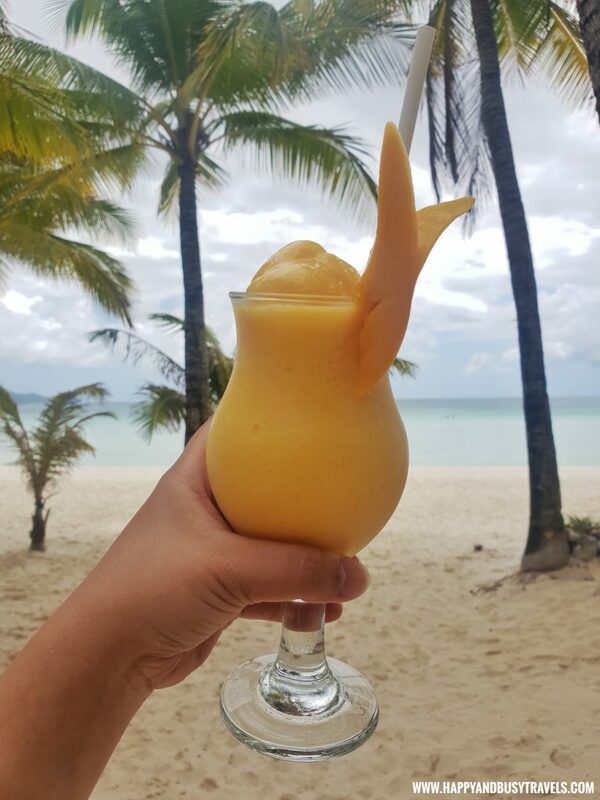 We recently have an invitation to visit Boracay, accommodations and airfare included, for only 5K/head. I wonder if this is where we're booked. Never been to Bora but would love to take the kids there sometime. Love the new boracay! We havent tried staying at station 1 even before. I guess with all those facilities, it is worth its price. Will check it out when we visit the island! I just noticed that you have your logo printed on your swimwear. I'm so jealous! HAHAHA! I'll have mine soon too. Btw, your picture of the smoking area show the typical titas of Manila hahaha! 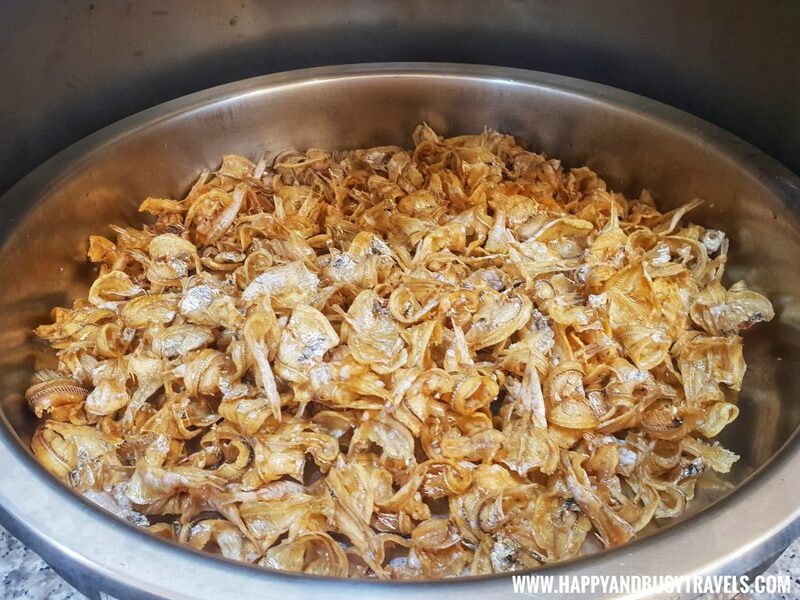 Anyway, I would go there to eat those crispy tuyo. Would you believe I haven't been in Bora until now that I'm 31? I think I missed half of my life. 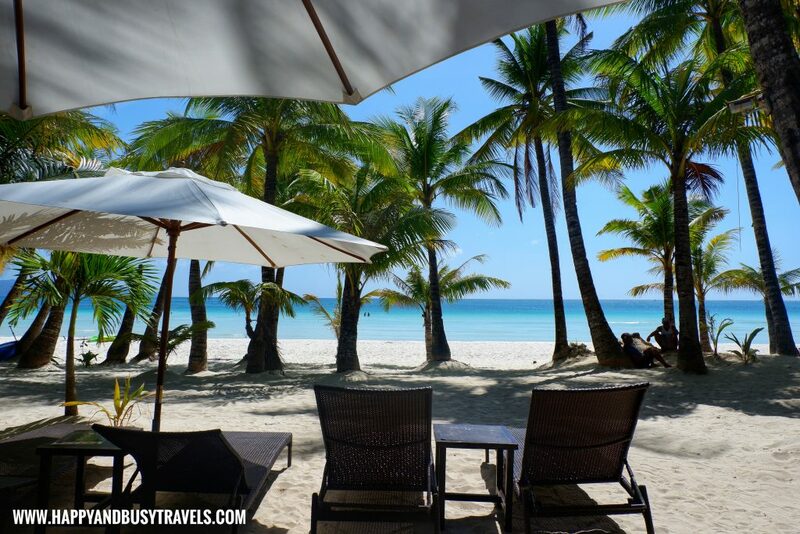 You have to go to Boracay! 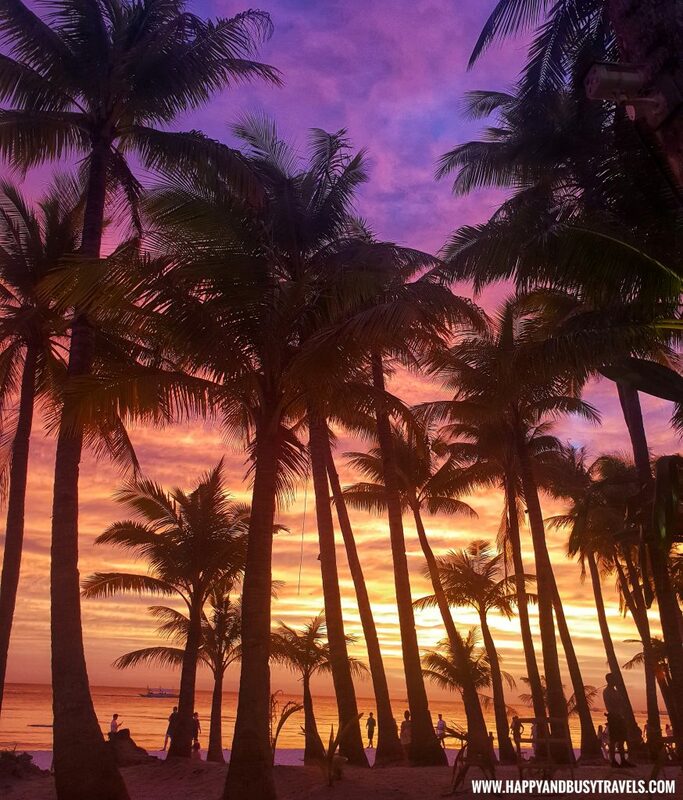 I miss Boracay so much! I will try station 1 this year hahahaha. Always in station 2 with my family.